IMAGINE COMING HOME WITH YOUR NEWBORN BABY, WEARY AND ELATED, TO FIND SOMEONE HAD COOKED YOUR DINNER FOR YOU. NOW IMAGINE A TROOP OF PEOPLE BRINGING YOU MEALS WITHIN THOSE FIRST FEW DAYS. THIS IS WHAT THE ROCHESTER AREA MOMS GROUP CALLS THEIR MEAL TRAIN, AND IT’S JUST ONE OF THE MANY PERKS OF BEING A MEMBER OF THIS LOCAL GROUP. Rochester Area Moms is an activities and support group for mothers interested in connecting with other women and families who are at a similar stage in life. Originally called F.E.M.A.L.E., the group evolved into Mothers & More and eventually became Rochester Area Moms in 2016. The group has been active in Rochester for more than 18 years. “The majority of members join when their children are in the infant or early years of childhood,” Nigon-Crowley explains. “But many stay until the children become school-age.” The mission to empower and educate mothers while providing opportunities for connection is what drives the group. This entry was posted in Community on April 26, 2018 by Gina Dewink. 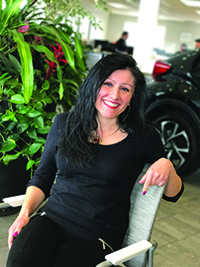 I HAD THE OPPORTUNITY RECENTLY TO SPEAK WITH AMALIA FOSTER WHO IS ONE OF ROCHESTER TOYOTA’S NEWEST SALES CONSULTANTS. FOSTER HAS HAD A FASCINATING LIFE—FILLED WITH LOTS OF TWISTS AND TURNS—NEARLY AS EXCITING AS READING A CAPTIVATING BOOK. This entry was posted in Community on March 1, 2018 by Cindy Mennenga. A plethora of options to do with kids. Rochester has long been known as a great place to raise a family. What makes it great? For one, there is a lot to do in the area. I researched community offerings and composed an overview of some of the best activities for you and your kiddos this winter. And luckily, there’s something for children of all ages. Quarry Hill Nature Center is a go-to place in spring, summer and fall, and winter is no different. Layer on your gear and head to the nature center. Then it’s a tough choice—do you prefer cross country skiing or snowshoeing? Get your equipment and head out on Quarry Hill’s more than 8 miles of groomed trails with varying levels of difficulty from beginner to expert. 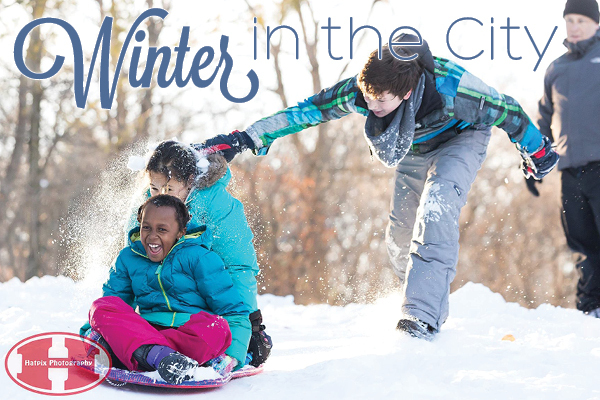 If raucous fun is more your game, grab your sleds and head to Rochester’s famous Judd Park for sledding, or get in the car and head to Stewartville for snow tubing at Ironwood Springs Christian Ranch. For tubing, register online in advance and share the hill with up to 80 fellow snow lovers. Tubers of all ages are welcome and tubing time runs two hours. Pack your own snacks and cocoa (hot water and cups are provided) and sit in the warm chalet bragging about your tubing exploits. This entry was posted in Community on January 1, 2018 by Renee Berg. Six local coffee shops inspire Rochester. We love coffee. More than coffee, though, we love a welcoming environment in which to drink coffee, engage in great conversation and build community. 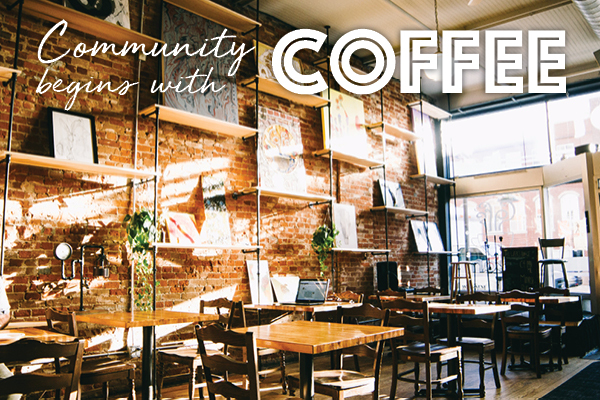 Around Rochester there are coffee shops with unique appeal and flair with missions to build community. I first met Rochester Women magazine Publisher Jorrie Johnson at Dunn Brothers Coffee on South Broadway. As a Rochester Greeter representative, she welcomed me and another gal to the city with a packet of goodies and wonderful conversation. I learned that she was managing editorial content for Rochester Women magazine, and she learned that I was an aspiring writer. Dunn Brothers is known for its imported coffee from around the world, as well as in-house roasting. Dennis and Lynn Wong own the three Dunn Brothers Coffee locations in Rochester, as well as Zumbro River Catering. Their location on Elton Hills has a large cafe and is known for their breakfasts with fresh eggs and quality Boar’s Head meats. When I was new to Rochester, this location became a great comfort to me. Using their Wi-Fi, I stayed in touch with family when I didn’t have internet service at my house, and I enjoyed food and drinks in front of a cozy fireplace. Since then I have enjoyed breakfast or coffee with friends, and taken in the local artists’ work showcased on their walls. This entry was posted in Community on January 1, 2018 by Joy Blewett. While members of the Night Owl book group read the same book, other groups pick a theme instead of a specific book. The Mystery book group is one of these. “They might all read a cozy mystery set in a bed and breakfast,” says Perry. “They can all find one that they want and read it and then talk about the ones that they read.” There is even a cookbook group where members find a recipe and bring the food to the meeting. 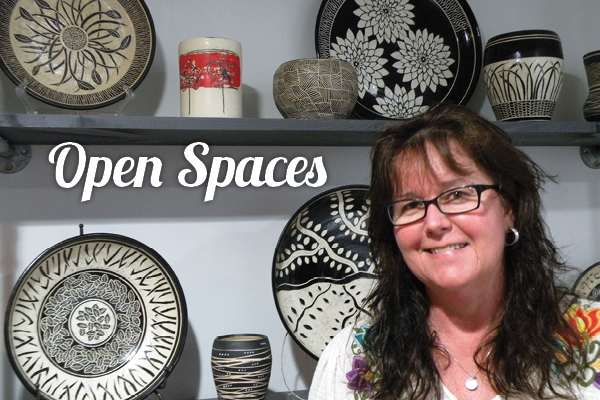 “It’s a great way for people to share their interests and their time with the library and with other people,” she says. There are currently eight different book groups run by the library. This entry was posted in Community on January 1, 2018 by Anna Matetic. Leon Logothetis quit his corporate desk job and headed out across the world seeking kindness. He not only found kindness given to him, but he gave kindness. Logothetis wanted to discover if there were actually kind humans still out there. “The Kindness Diaries” book and Netflix series (released in 2015) is changing the way people see each other, as well as what it means to show kindness to one another. Logothetis’ adventures take us across the world to different cultures, different climates, but with one thing all in common—humanity. As part of “The Kindness Diaries” book tour, Logothetis gave a presentation in Stewartville on August 30, 2017, organized by REACH coordinator James Parry of Stewartville High School and Middle School. About 200 people gathered in the Stewartville Performing Arts Center for this event. THE JIVE MILL IS A NEW MUSIC VENUE ON NORTH BROADWAY IN ROCHESTER WHERE I WITNESSED AN INVITE MIc—A PLANNED EVENT WHERE MUSICIANS OR SPOKEN WORD ARTISTS ARE GIVEN A THEME OR TOPIC TO WRITE AND PERFORM ON. The JIVE MILL HOSTS invite mic events ALONG WITH A VARIETY OF MUSICAL GROUPS. The Jive Mill, which opened its doors in June, began in 2012 as a house concert at the home of Noelle Tripolino Roberts, owner, and her husband, Christopher Roberts, manager. With the help of Joshua Poencet managing the physical space of the building and Carsten Earl creating ambience with lighting and sound, this team has created an experience between musician and audience that must not be missed. This entry was posted in Community on November 1, 2017 by Written and Photos By Joy Blewett. Not all businesses succeed, and for those that do, there are lessons to be learned from their legacies. For Rochester-based insurance agency, North Risk Partners – C.O. Brown, this legacy of success is one spanning 100 years. The firm celebrated a century in business in September. The agency was founded by Clarence O. Brown in 1917. While the C.O. Brown story started with a male founder, the future is bright for women in leadership at the company and throughout the insurance industry as a whole. The insurance industry has been historically male dominated. Acknowledging this, it remains an industry-wide priority to create more opportunities for women in management, sales and beyond. According to one study, only 15 percent of insurance companies are led by female executives. This entry was posted in Community on November 1, 2017 by By Tori Utley . As an elementary art teacher, I love that I can teach such a wide variety of art practices. From drawing to origami to collage, I love and enjoy creating using all art mediums. The five female artists I interviewed have dabbled in different crafts and art mediums throughout their lives, until finding one that really spoke to them. Each one of these artists is building up the hidden art community here in Rochester. As the art community is rising up here in Rochester, no one is more excited than Cecilia Boggio. Showcasing her work for the second year at Pridefest, she was more than willing to share her inspiration and love for making art. This entry was posted in Community on September 5, 2017 by Joy Blewet. WHAT COULD BE BETTER THAN A NIGHT OUT ON THE TOWN FILLED WITH CHARMING RETAIL SHOPS, GREAT FOOD, COCKTAILS, DESSERT AND WORRY-FREE TRANSPORTATION? 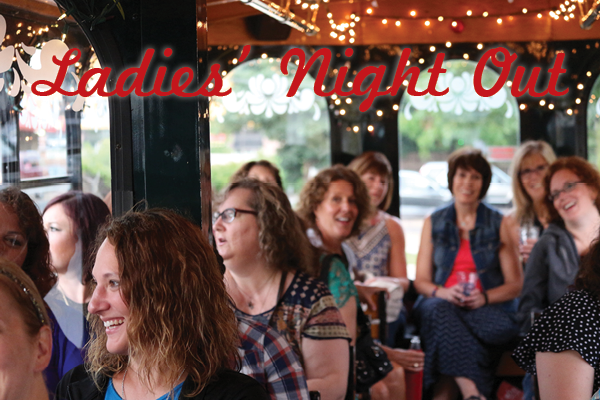 ACCORDING TO THE WOMEN WHO PARTICIPATED IN A RECENT LADIES’ NIGHT OUT HOSTED BY ROCHESTER TROLLEY & TOUR COMPANY, NOT MUCH CAN BEAT A RELAXING EVENING LIKE THIS ONE. Rochester Trolley & Tour Company hosts Ladies’ Night Out (LNO) tours that offer a variety of ways to celebrate an evening with friends. Participants arrive early at 5 p.m. for a get-together at Five West Kitchen & Bar, and then the three and a half-hour tour begins, allowing for 50 minutes at each destination shopping district. Each shop provides beverages and appetizers for its guests throughout the tour, and Five West offers dessert to top off the night. This entry was posted in Community on September 5, 2017 by Kim Zabel.